WASHINGTON (Sputnik) - US President Donald Trump despite lack of evidence and in contradiction to promises to improve relations with Moscow ordered the removal of 60 Russian diplomats over allegations of involvement in the poisoning of former spy Sergei Skripal. On Monday, a senior administration official told reporters the action includes the expulsion of 48 employees of the Russian Embassy and 12 assigned to the UN in New York, as well as the closure of the Russian Consulate in Seattle. Trump’s move marks the largest expulsion of Russian diplomats from US soil. The figure is also substantially higher than the 35 ordered to be expelled under President Barack Obama. On March 4, Skripal, a double agent, and his daughter were left critically ill after they were attacked with a nerve agent in the UK’s Salisbury. The UK government claimed that the substance was developed in the Soviet Union. The Kremlin has strongly rejected the accusations and suggested helping in the investigation. 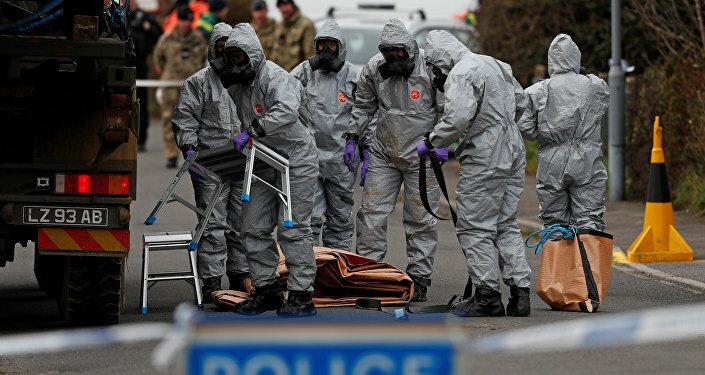 However, Moscow's requests for samples of the chemical substance used to poison Skripal have been denied. The White House said in a statement that it is shutting down the Russian consulate in Seattle due to its proximity to one of the US submarine bases and Boeing. The Trump administration made this determination in conjunction with NATO partners and other European allies. The expulsion of Russian diplomatic personnel and closure of the Consulate General would make the United States safer by "reducing Russia’s ability to spy on Americans and to conduct covert operations that threaten America’s national security," the White House said in a press release. The diplomats and their families have been given seven days to leave the United States, a senior administration official told reporters earlier in the day. The official said employees who are being sent back to Russia are intelligence officers, who have been holding diplomatic positions in the United States. He declined to comment on individual designations from the intelligence organizations. Despite taking this strong action, Washington remains open for dialogue with Moscow, if the Kremlin will change its posture, the official added. He also said Trump has not spoken to Russian President Vladimir Putin since Moscow had been notified about the order. On Monday afternoon, White House Deputy Press Secretary Raj Shah reiterated the Trump administration wants to work with Russia, but "the ball is in their court." He said it is up to the Kremlin whether they chose to have a constructive or adversarial relationship with Washington. The White House stated the order has been issued in solidarity with the UK government, after London decided to expel 23 Russian diplomats over the Skripal case. The Trump administration's announcement was met with wide support among US lawmakers and officials. US Ambassador to the United Nations Nikki Haley said in New York, Russia uses the UN "as a safe haven for dangerous activities within our own borders." Haley also said by removing Russian diplomatic personnel the United States and its partners are sending a clear message that the international body will not tolerate Moscow's behavior with respect to the use of chemical weapons. Several US senators in separate statements said they support Trump’s decision to send out Russian diplomats. Chairman of the Senate Foreign Relations Committee Bob Corker applauded the US president's action, because the administration indicated its preparedness for taking more aggressive measures if needed. Senator Mark Warner in a Twitter post said Trump made the right decision but must maintain pressure on Russia while Senators Jim Risch and Thom Thillis also took to social media to express their support for the measure. Senator Robert Menendez issued a statement backing the move and called on Trump to fully implement the mandatory sanctions stipulated under the Countering America’s Adversaries Through Sanctions Act that Congress passed seven months ago. Russian Ambassador Anatoly Antonov told reporters that he was informed about the expulsion on Monday morning at the Department of State. The envoy said he held a meeting with US Assistant Secretary of State Wess Mitchell. Antonov said the number of expelled diplomats is more than half of the existing staff in the Russian embassy in Washington, DC. "I mentioned in my statement in the State Department that I consider these actions counterproductive," Antonov said. "I said that the United States took a very bad step by cutting what very little still remains in terms of Russian-American relations." The envoy said the international community has not provided credible evidence of Russian involvement in the Skripal case. He called for a calm and professional probe led by the Organization for the Prohibition of Chemical Weapons (OPCW), where all parties are represented. Antonov expressed hope that one day relations between Moscow and Washington will be restored, despite the US move. "I am sure that time will come that they will understand what kind of grave mistake they made," the ambassador said. He stressed the importance of tackling the main issues the United States and Russia face at this time, including global terrorism. Poor relations between the great powers only distract them from finding solutions to key problems. Later in the day, Russian Envoy to the UN Vassily Nebenzia told reporters that the United States has abused its privileges as UN host nation by expelling 12 members of the Russian permanent mission. "The expulsion of Russian diplomats as well as other recent unfriendly steps, such as restriction of access to Russian diplomatic property, visa denials to mission staff… can be viewed as the US abusing its rights and privileges as the hosting country," Nebenzia said on Monday. Senior Consul Khalit Aisin told Sputnik the Russian Consulate General in Seattle will work to minimize the effects of the US decision to close the facility. The mission did not get any official notice from the US government and received all information from the Russian embassy, Aisin added. He noted that Russia’s consulate in Seattle usually issues dozens of thousands of visas annually. 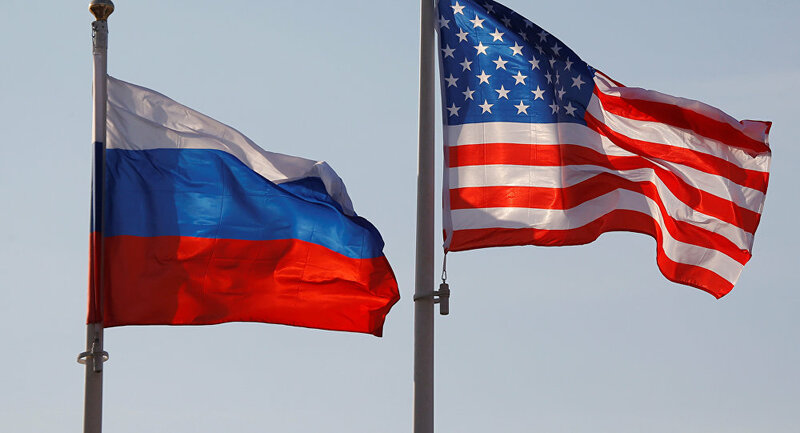 The President of the San Francisco-based Congress of Russian Americans (CRA) Natalia Sabelnik told Sputnik the United States is punishing its own citizens by closing Russian consulates. Former UK diplomat Jonathan Clarke told Sputnik that Trump’s move to expel 60 diplomats is the tip of the iceberg because relations are about to get worse especially considering Trump made the aggressive and unstable John Bolton his new national security adviser. Canada ordered four diplomats serving in the Embassy of the Russian Federation in Ottawa or Consulate General in Montreal to leave the country and rejected three more applications in solidarity with the United Kingdom. Canada's Foreign Ministry announced in a press release on Monday the four individuals "have been identified as intelligence officers… who have used their diplomatic status to undermine Canada’s security." Ottawa said in the release that the nerve-agent attack on Skripal and his daughter demonstrates a threat to international rules regarding the use of chemical weapons. 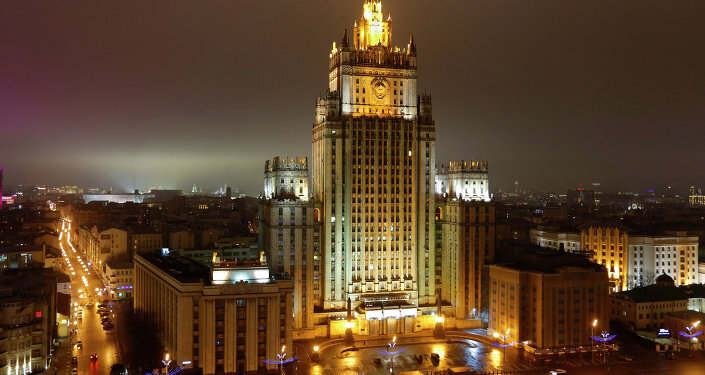 The punitive measures are not aimed at the Russian people, the Foreign Ministry said, adding that Canada wants to continue the dialogue and partnership with Russia in the areas of common interest. A total of 14 EU countries, as well as Norway, Albania, and Ukraine, announced their decisions to send home Russian diplomats in connection with the incident in Salisbury. Most expulsions involved less than five individuals. Kremlin spokesman Dmitry Peskov said Monday Russia regrets the decision by several countries to expel Russian diplomats. He added the Russian Foreign Ministry and other agencies will analyze the situation and present Putin with plans on the response. Last week, the Russian Foreign Ministry’s department of nonproliferation said the poisoning of Skripal might have been orchestrated by the United States, London's close ally and an owner of a large chemical weapons arsenal.